Hey all! This is the first installment of the weekly devotionals here on the MWM blog. Every Tuesday, come back for another quick study in God’s Word. We will choose a short excerpt from one book of the Bible to study every week! The weekly devotional is a brief meditation on a passage of Scripture. We won’t be examining or heavily analyzing every aspect of the passage, but we will extract the essential Truth present throughout the text. What can we learn about ourselves? 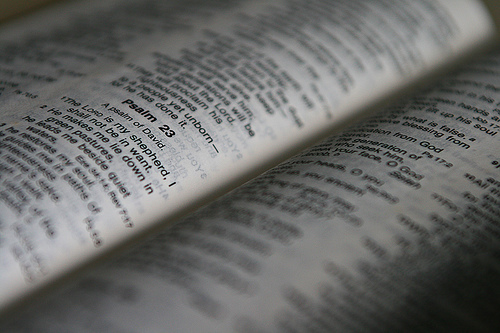 What can we learn about the character and nature of God? Be blessed as you read! Genesis 11:1-9 Now the whole world had one language and a common speech. 2 As people moved eastward, they found a plain in Shinar and settled there. 3 They said to each other, “Come, let’s make bricks and bake them thoroughly.” They used brick instead of stone, and tar for mortar. 4 Then they said, “Come, let us build ourselves a city, with a tower that reaches to the heavens, so that we may make a name for ourselves; otherwise we will be scattered over the face of the whole earth.” 5 But the Lord came down to see the city and the tower the people were building. 6 The Lord said, “If as one people speaking the same language they have begun to do this, then nothing they plan to do will be impossible for them. 7 Come, let us go down and confuse their language so they will not understand each other.” 8 So the Lord scattered them from there over all the earth, and they stopped building the city. 9 That is why it was called Babel—because there the Lord confused the language of the whole world. From there the Lord scattered them over the face of the whole earth. We may view the temptations that frustrate our walk with God as external, but the reality of our struggle with sin in this world and the realization of the Gospel in our lives, is that our primary enemy is ourselves. We live in a world that is difficult to understand. We live a life that is difficult to understand. After praying for and receiving things that we do not totally understand, we find we are incapable of possessing those things without hurting ourselves and others. We are encouraged from an early age to be the best, told that we are the most important people in our lives. Tragic consequences follow when we begin to believe it. In an attempt to attain our life’s desires and “make a name for ourselves” we often destroy the truly good things in our lives. One of the main reasons many do not find God or feel his presence is that in the deepest recesses of the human heart, God is unwelcome and unwanted. The moment we accept that the power and perspective of God will forever overpower and supersede our own is the moment we will finally find him. Until then? We exist as our own gods. We mustn’t be surprised when we find ourselves confused by or unable to understand the world we live in and how we are to live in it.